Turning around a sales team is no easy feat, but sales managers have a few tricks up their sleeves to make their sales reps more successful. They are uniquely positioned to motivate and empower their staff, so they can truly make a difference in the company's bottom line. Highly effective sales managers don't only count on metrics, they find other ways to encourage and reward their sales team. Great sales managers also put a lot of effort in building a company culture. For example, at SkyPlanner Partners, our sales manager organizes events and team-building activities for all of us to get to know each other better. 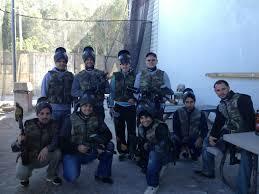 The last time your Miami Salesforce consulting company got together was for some paintball fun. Finding the right talent is an another part of building a great sales team. By hiring the right people a company can save themselves the hassles of having to train employees that they'll have to fire in just a few months. This will also save them money. The right people encourage others to be great, eventually building a successful team. Effective sales managers always look for employees that have hobbies and interest that align with their companies. Your Miami Salesforceconsulting company knows communication is key in any organization or relationship for that matter. It's important that your sales team knows and understands what's expected of them. The SkyPlanner Partners remind you that this goes deeper than just delivering a job description. Your team needs to know what the company's goals are and what they can do to help the organization get there. They should also know what will happen if these goals are not met. Process is part of the success recipe, however it's crucial that companies don't over do it and hinder their team with it. Sales reps should know how to approach a lead, qualify it and close the deal but the process doesn't have to be highly regimented, sales managers should just guide their team to create a great sales environment. Coaching can help create that atmosphere, building confidence, camaraderie and motivation for the sales team. Most importantly, don't forget to celebrate as a team!